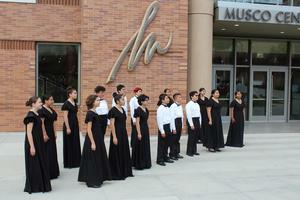 April 4, 2019 -The Bakersfield City School District (BCSD) is proud to announce that the Curran Middle School Advanced Chorale was selected to participate at the prestigious 2019 California Music Educators Association (CMEA) State Choral Festival. 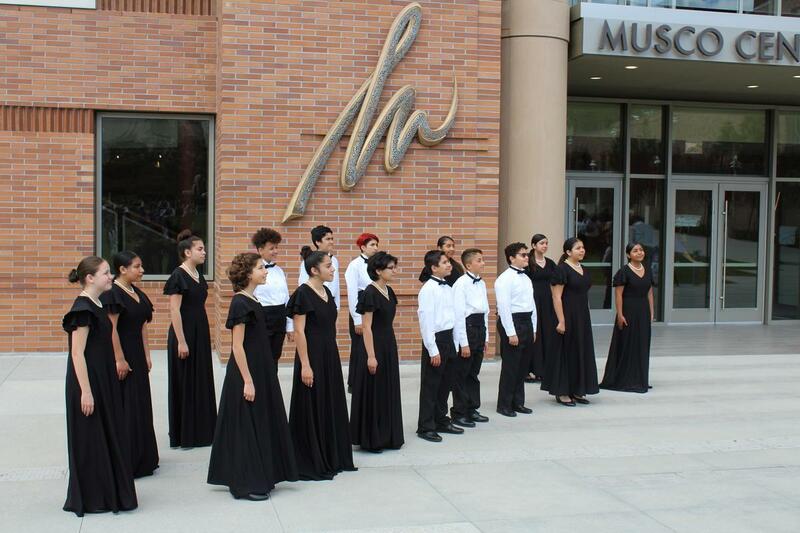 The event was held at the Musco Center for the Arts on the campus of Chapman University on March 20, 2019. Only the finest middle school, junior high and high school choirs throughout the state are considered for this event. 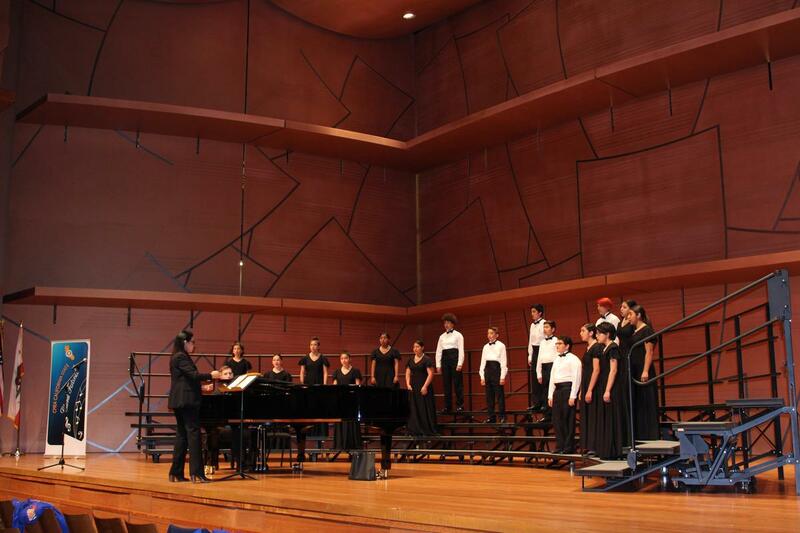 “I feel proud because our group has worked hard and I feel special because not all schools have the opportunity to be a part of this event,” said 8th grade choir member, Betzaida Granados. 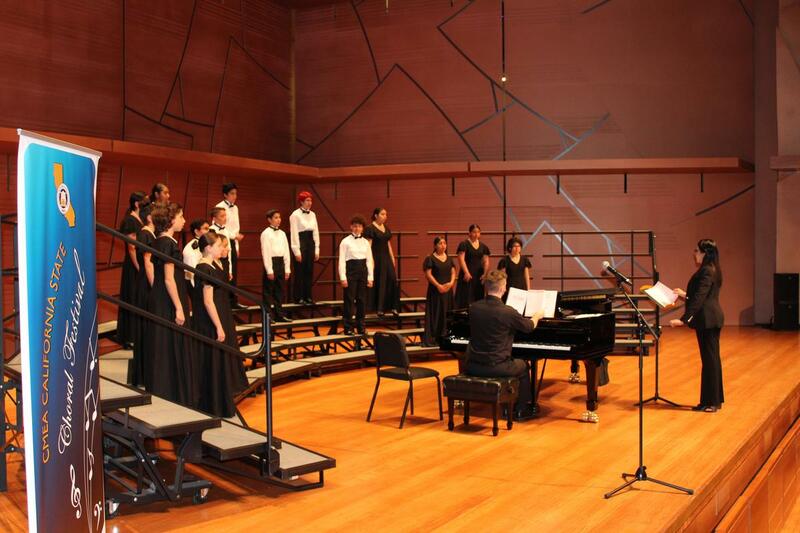 The Curran Advanced Chorale, under the direction of Ms. Maritza Borja, includes choir members from 7th and 8th grade who meet daily and work hard in preparing their music to be performance ready. 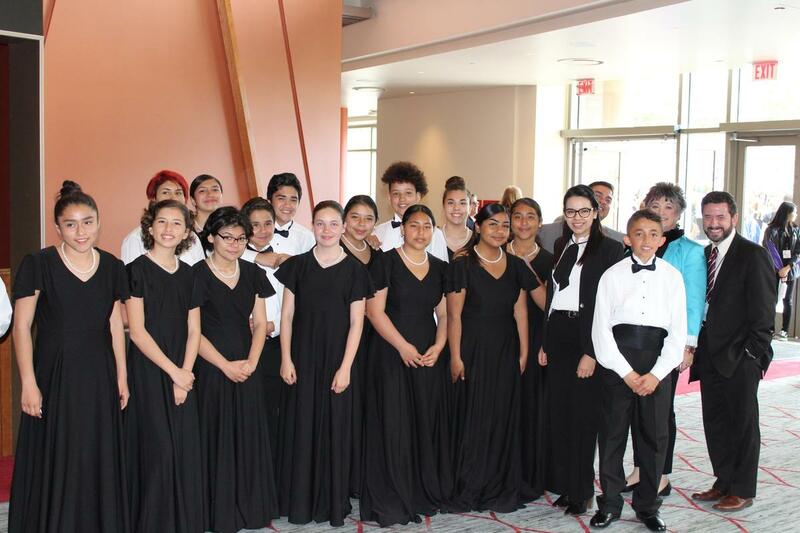 Their ensemble has received Unanimous Superior ratings at the BCSD Standards Festival for the past two years and a Unanimous Superior at the CMEA Festival for the first time this past year. 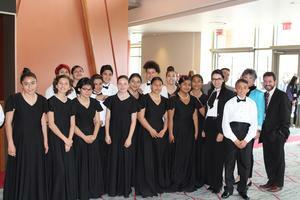 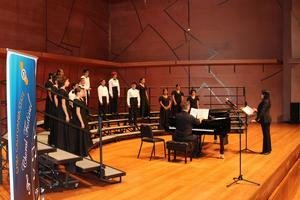 Curran Middle School also received a recognition by the CMEA earlier this year. 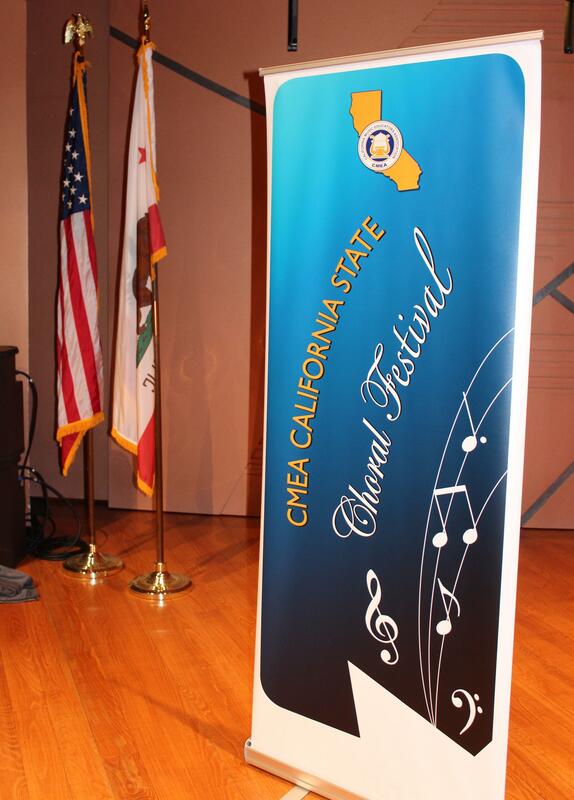 Principal Marilyn Strongin received the CMEA Outstanding Administrator Award for her support of school’s music program, during the annual California All State Music Education Conference held on February 15, 2019 in Fresno.